Luxury Guest House in historic building in Cape Town. 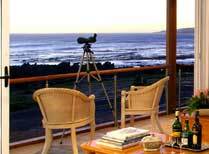 A lovely lodge and fantastic restaurant overlooking False Bay and the penguin colony. A luxury lodge set in a wilderness area of the Cederberg with stunning vistas and rock formations. 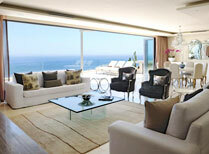 Camps Bay Retreat is a perfect getaway in a tranquil setting. Views over the Atlantic Ocean & convenient for exploring the sights of Cape Town. Cape Cadogan Boutique Hotel and More Quarters self catering apartments are located just off fashionable Kloof Street in Cape Town. 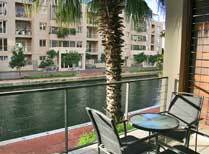 Cape Grace Hotel is set on a private quay on the prestigious Cape Town waterfront. 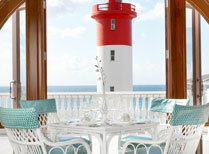 Gorgeous boutique ocean-front hotel in an exclusive Cape Town suburb with stylish rooms and suites. A family-owned and run boutique hotel in a prestigious suburb, once the home of the Earl of Clarendon. Four Rosmead is a boutique guesthouse on the slopes of Table Mountain and makes an ideal base from which to explore this fascinating city. A private reserve in the Cederberg Mountains, two camps set amongst stunning rock formations. Enjoy an unspoiled ocean getaway on the West Coast. Stay in the shadow of Table Mountain in the quiet residential neighbourhood of Tamboerskloof. Your own apartment in the popular V&A Waterfront Marina, combining an excellent location and independent living in the heart of Cape Town. A boutique guest lodge in a leafy street within walking distance of the restaurants and boutiques of Long and Kloof Streets. 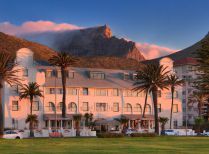 Winchester Mansions is an elegant beachfront hotel in the Sea Point area of Cape Town. 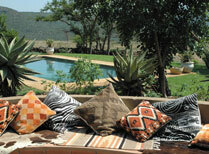 Bayethe Lodge is an exclusive luxury tented camp in the 25,000 hectare Shamwari Game Reserve. 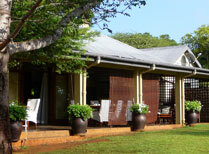 A luxury lodge in a private concession area at Addo Elephant Park. A luxurious lodge offering peace and tranquility, set on the banks of the Bushman's River. Luxurious lodge in a secluded setting overlooking the Bushman's River with lavish suites and spacious indoor and outdoor social areas. A smart 10-suite bush lodge offering Big 5 safaris, wonderful views and ample space on the privately owned Kariega Game Reserve. 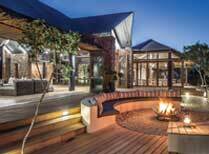 A top quality lodge with spacious suites, all with private plunge pools, offering Big 5 safaris in the Eastern Cape. An Edwardian manor house with comfortable and elegant accommodation in the heart of the Shamwari Game Reserve. Luxury lodge in the private Shamwari Game Reserve. 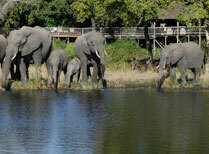 Stylish accommodation and big 5 game viewing. Set in Mkhaya Game Reserve known for its black and white rhinos. Just a short drive from the capital, Mbabane, it is an ideal place from which to explore eSwatini. Traditional Little Karoo farm offering guest accommodation, warm hospitality, great home-cooked food set in a wonderful area. 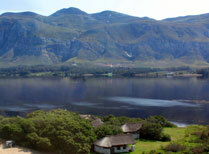 De Zeekoe Guest Farm is a working farm offering comfortable accommodation. A range of activities, including meeting the meerkats. 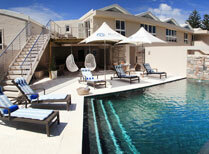 Secluded accommodation, a pool and great food near Plettenberg Bay. 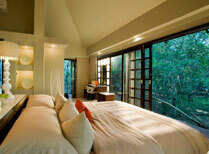 A 4-star lodge set on the edge of an indigenous forest in a private nature reserve near Tsitsikamma. 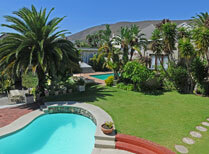 Isola Bella Villa is situated on an island in Knysna Lagoon on the world famous Garden Route. Knysna Hollow offers comfortable accommodation in a country estate setting on the outskirts of Knysna. Lairds Lodge, near Plettenberg Bay on the Garden Route, offers stylish accommodation in beautiful surroundings near unspoilt beaches. 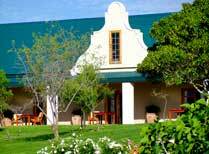 Red Stone Hills has 6 separate cottages located on a working farm near Oudtshoorn. 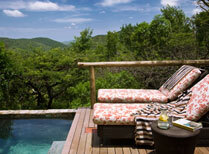 Treetop suites and villas all with private pools, in a pristine forest setting just 10kms from Pletterberg Bay. Tsitsikamma Lodge is a privately owned, managed lodge set in beautiful grounds on the famous Garden Route, offering accommodation in log cabins. 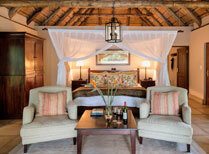 Luxurious accommodation in the private Sabi Sands Reserve. 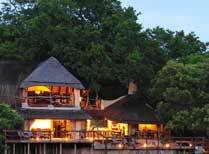 Wonderful game viewing, great food & friendly service making it a perfect safari destination. 6-suite lodge offering beautiful accommodation, indoor and outdoor social areas and superb Big 5 game viewing in the Sabi Sand Reserve. 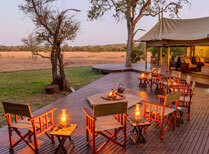 Garonga Safari Camp is a small luxury camp in a private conservancy near Kruger National Park. 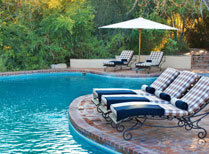 Hippo Hollow Country Estate is set in lovely lush gardens just 10 minutes from Kruger National Park. 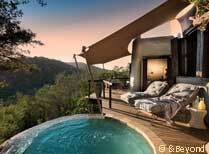 A luxury lodge in the southern Kruger Park. Beautifully, luxurious lodge in the heart of the Greater Kruger with fantastic game viewing, especially in search of the famed Big 5. 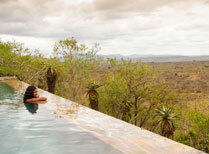 Little Garonga offers spacious and exclusive accommodation in just 3 suites in a peaceful setting in Makalali Conservancy. 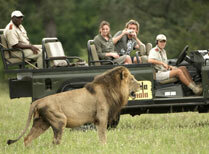 Fantastic game viewing on private land bordering Kruger. 3 camps to suit all guest requirments. Motswari is a traditional bush lodge offering twice daily game drives and comfortable en-suite accommodation in the Greater Kruger Park. Ngala Safari Lodge, in Kruger National Park, offers guests superb game viewing and creature comforts in a secluded setting. Ngala Tented Camp is located just 2 miles from Kruger National Park and combines luxury accommodation with wonderful game viewing. 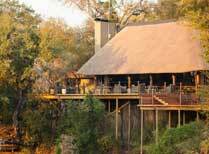 Exclusive game lodge in Sabi Sands Game Reserve, Greater Kruger. A beautiful area in the far north of the Kruger Park, excellent walking safaris. 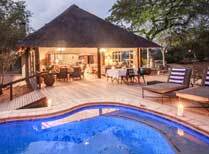 Rhino Post Safari Lodge offers luxury accommodation in the heart of Kruger National Park for a maximum of just 16 guests. 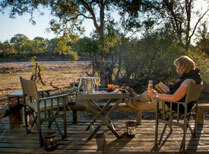 Rhino Walking Safaris' Plains Camp and Sleep Out are excellent for anyone wanting a walking safari in Kruger. Rissington Inn is ideal for touring the Panorama Route. An attractive location with large gardens and pool. 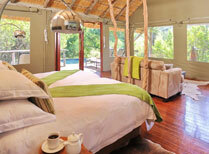 A stylish, family-friendly lodge in a private Big 5 game reserve bordering Kruger National Park. Go game viewing in a private Big 5 reserve, between times relaxing in the lounge, by the pool, on the terrace and enjoy tasty, freshly prepared food. 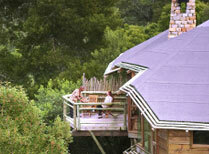 Enjoy Big 5 country from this warm and welcoming contemporary lodge. 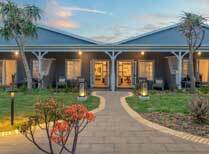 The Royal Hotel is a genuine Victorian hotel in the historic gold mining town of Pilgrim's Rest. 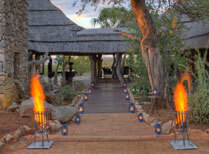 A classic African safari camp located in the Timbavati Private Nature Reserve adjacent to Kruger National Park. AmaZulu Lodge is a small African-style lodge in St Lucia which offers a variety of outdoor activities in iSimangaliso Wetlands Park. 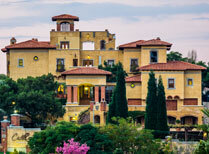 Cathedral Peak Hotel is set in the heart of the Drakensberg Mountains. Full range of guest facilities and comfortable accommodation. Cleopatra Mountain Farmhouse offers a warm welcome, delicious freshly prepared food and the chance to explore the Drakensberg mountains. Comfortable en-suite accommodation owned by the Rattray family, near Rorke's Drift in the Battlefields area. En-suite chalets in a beautiful setting in the Drakensberg mountains. A large safari lodge in Hluhluwe-Umfolozi Park with gorgeous views around the hills. Explore the historical Battlefields region of KwaZulu Natal, learn about Zulu culture and enjoy a range of outdoor activities. Kosi Forest Lodge offers comfortable accommodation, good food and a perfect base from which to explore this fascinating area. 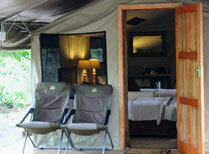 Mpila Camp is situated in Hluhluwe-Umfolozi Park, known for its game, and offers a range of guest accommodation. 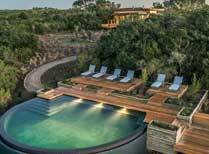 A luxury lodge with 16 suites located deep in the forest, offering 4x4 game drives, boat safaris and bush walks in Phinda Private Game Reserve. Enjoy spell-binding views from the lodge's mountain top location, looking out over the trees to the surrounding plains of Phinda Private Game Reserve. An exclusive lodge with just 6 suites and main lodge with blazing fires located within a private Big 5 game reserve where you can explore by 4x4, boat and on foot. Set at the edge of a pretty meadow, this small lodge offers game viewing without having to stir from your suite, as well as safaris and trips to the seaside. Set on a ridge with far reaching views, this lodge offers elegant accommodation within the Big 5 Hluhluwe-Umfolozi Game Reserve. Rocktail Beach Camp is set on the unspoilt, secluded KwaZulu Natal coastline within iSimangaliso Wetland Park. A family-friendly tented camp in a prime location in Tembe Elephant Park, known for its big game and abundant bird life. Located in a private game reserve and combines luxury accommodation, first class facilities and excellent game viewing opportunities. Thanda Tented Safari Camp is located in a private game reserve and offers an authentic safari experience with excellent game viewing opportunities. A fine, historic hotel on Umhlanga Beach beside the famous lighthouse, with an impressive array of facilities and stylish accommodation. 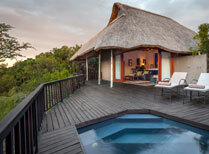 A 24-bed luxury lodge set on the pristine shores of the Maputuland coast, KwaZulu-Natal. Relax! A lovely little lodge in the Drakensberg mountains. A great base for exploring the battlefields and the great outdoors. Umkhumbi Lodge is in the heart of Zululand, a great base from which to explore the surounding wildlife reserves. 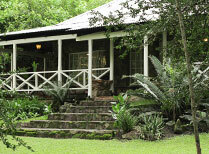 A small, owner-run lodge in St Lucia village, a perfect base for exploring iSimangaliso Wetlands Park. Comfy tented accommodation, beautiful views, game viewing by land and water all combine to make White Elephant Lodge a great choice in Pongola Game Reserve. Malealea Lodge is in a beautiful location in western Lesotho. Come pony trekking here. Maliba Mountain and River Lodges are situated in a gorgeous location in Lesotho. In a beautiful position in the Drakensberg Mountain Range in Lesotho. A lodge in the foothills of the Maloti Mountains, family run with great food. Accommodation at the highest pub in Africa set right on the top of the Sani Pass. Stone and thatch accommodation in the heart of Lesotho near Maletsunyane Falls. 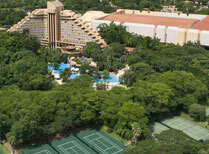 Comfortable accommodation and good service in a peaceful setting just 10kms from Johannesburg Airport. Enjoy the perfect combination of luxury, privacy and location at this beautiful Tuscan style guesthouse. 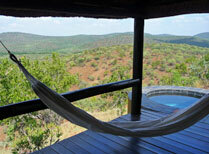 A small luxury lodge in Madikwe Game Reserve, especially good for family safaris. 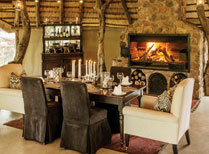 Luxury safari lodge set within a Palala River Reserve private game reserve. 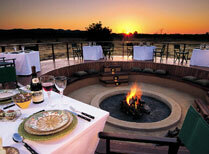 Makanyane Safari Lodge is an exclusive and luxurious lodge set in private land within the Madikwe Game Reserve. A stylish safari lodge in the malaria-free Madikwe Game Reserve, offering game drives and walking safaris. A traditional guesthouse in a pleasant northern suburb of Johannesburg. Convenient for shops, restaurants, galleries and museums. A luxury rail journey with elegant, wood panelled interiors and generously proportioned suites, recalling a bygone age. A converted farmhouse in the heart of Venda land on Lake Shiluvari. 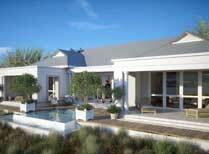 Very special bush homes in the malaria free Waterberg area. 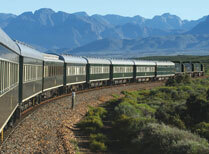 An amazing way to travel across South Africa in luxury! 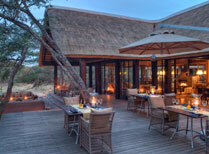 Two luxury lodges in a huge private game reserve in the Kalahari. A unique, special desert safari experience. A lovely lodge in the heart of whale watching country in Hermanus. A historical guest farm in Franschhoek in the winelands. 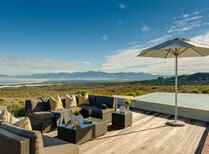 A traditional guest house in the heart of Hermanus and has spectacular views of the Walker Bay. 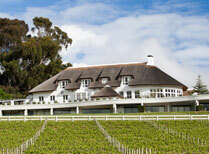 Auberge Rozendal is situated in the Stellenbosch Winelands and a great base to explore the area. Stay on an historic Cape Winelands werf, enjoy being a part of farm life, stroll though gorgeous gardens, swim, relax at the spa and savour delicious food. Farm 215 is a secluded rural retreat in Western Cape. Come for nature, walking, riding and whales! 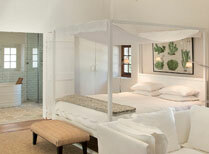 Tranquil surroundings for guests who want to explore the diverse plant and animal life of the Grootbos Nature Reserve. A gorgeous small winery near Franschhoek with luxury accommodation and award winning restaurant. A lovely thatched mansion house in the midst of a working vineyard, with top notch accommodation and amenities on the outskirts of Franschhoek. 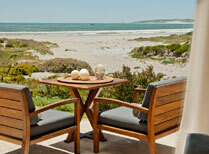 Luxurious suites set by Hermanus Lagoon on the Whale Coast, ideal for beach, ocean and land activities. A boutique hotel on the outskirts of Hermanus. All rooms have sea views. There is an attractive garden and a swimming pool. 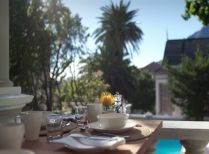 A gorgeous historic hotel in the heart of Stellenbosch with one of the Cape's top restaurants. 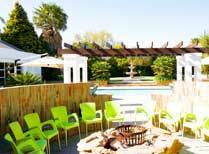 River Manor Boutique Hotel & Spa is a short walk from Stellenbosch centre and offers superb facilities in a tranquil setting. A lovely small lodge where you can watch whales from the balcony!